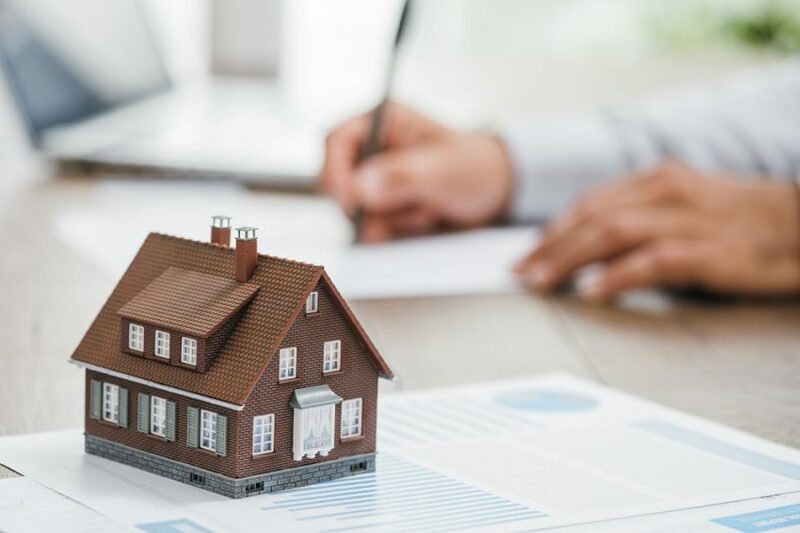 Everyone hopes that their home value will increase between the time they bought it and the point when they’re ready to sell; however, most people only have a general idea of how much their home is worth. Home sellers need to have a firm understanding of their home’s value so that they list the house properly to attract a fair number of interested buyers. Knowing your home value will also help you budget for your next move. If you’re scratching your head wondering “how much is my house worth,” you’re not alone. Check out these four options for determining home value before you decide to list your space. Most potential sellers want to answer the question “how much is my house worth,” without getting other people involved. They aren’t ready to call a real estate agent and might still be on the fence for even listing the property. If this is the case for you, consider using a few online tools to get an idea for what your home is worth. The team at GoodFinancialCents curated a list of online tools that you can use to estimate your home value. These range from popular user-friendly sites to more advanced appraisal options where you can submit information and get estimates for your home’s value. Most experts recommend keeping an eye on the housing market up to three years before you are ready to sell your house. This allows you to look out for any trends that could hurt or help your home value. You may decide to list your home at a certain peak or hold off on listing it until the market improves through the information you learn. If you rent out a space and are considering selling it, you may want to wait until the market favors sellers. These tools help because they provide information but you don’t have to formally start the process of selling until you are actually ready. If your neighbor just sold his home for a mint, it may be time to act…sales comparable are typically only valid for 6 months! Once you are ready to sell your home, you can determine your potential listing through a comparative market analysis or CMA. A CMA is a less-detailed appraisal for the value of your home. If you have a real estate professional in mind, they will likely provide provide a CMA if you ask “what is my home worth” because this is a tool commonly used in their field. For a high-level estimate, you can conduct your own CMA by checking sites with sales data. You can see what similar homes in your neighborhood sold for to get a ballpark range of what yours might be worth. Another quick tool you can use to understand your home’s value is the Federal Housing Finance Agency’s House Price Calculator. Then, through FHFA trends, the calculator will provide a very rough estimate for what your home is worth. This is a rough estimate because it doesn’t take into consideration factors like improvements that you made to your home, its size, location and condition. This analysis completely ignores city or neighborhood trends as well. However, it is a rough jumping off point and a top realtor in your area can help you pin down a more accurate number. If you do want a hard and fast number for what your home is worth, then seek to find the appraised value of your home. The appraisal process typically occurs after you accept an offer on your home, but some people request one to understand the home’s true value. Before an appraisal, you want to make sure that your home is in its best shape. A clean home without a list of necessary repairs will help you get a higher value for your home, even if these steps only sway the needle by a few hundred dollars. Take a few steps to increase your home value to make sure it appeals to buyers. Most real estate agents won’t recommend an appraisal unless you are officially ready to sell your home and have completed all of the steps to prepare it to go to market. Otherwise your appraisal might not truly reflect the value of the home — or at least what you think it’s worth. If you want a concrete number to answer the question “how much is my house worth,” then reach out to Effective Agents today. Using out data-driven system, we can pair you with an agent who specializes in selling homes in your area, down to your specific home type and neighborhood. Your suggested agent will understand your home’s value and will be able to provide suggestions on the amount you should list it for. Let us guide you through the home selling process so you have the best experience possible.